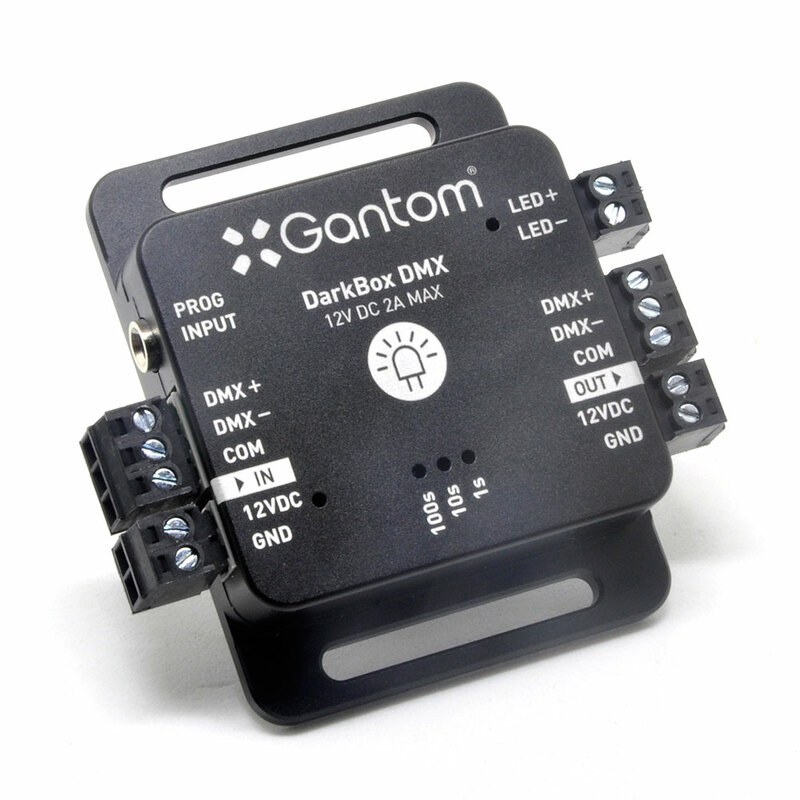 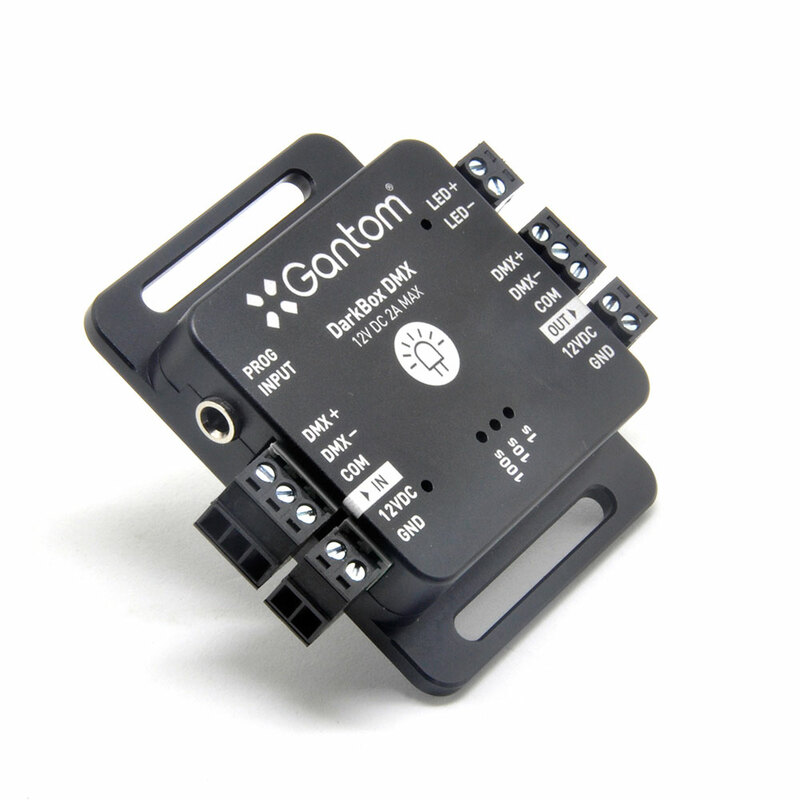 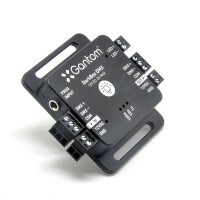 The DarkBox DMX is an ultra compact and scalable single output DMX tunable LED dimmer. 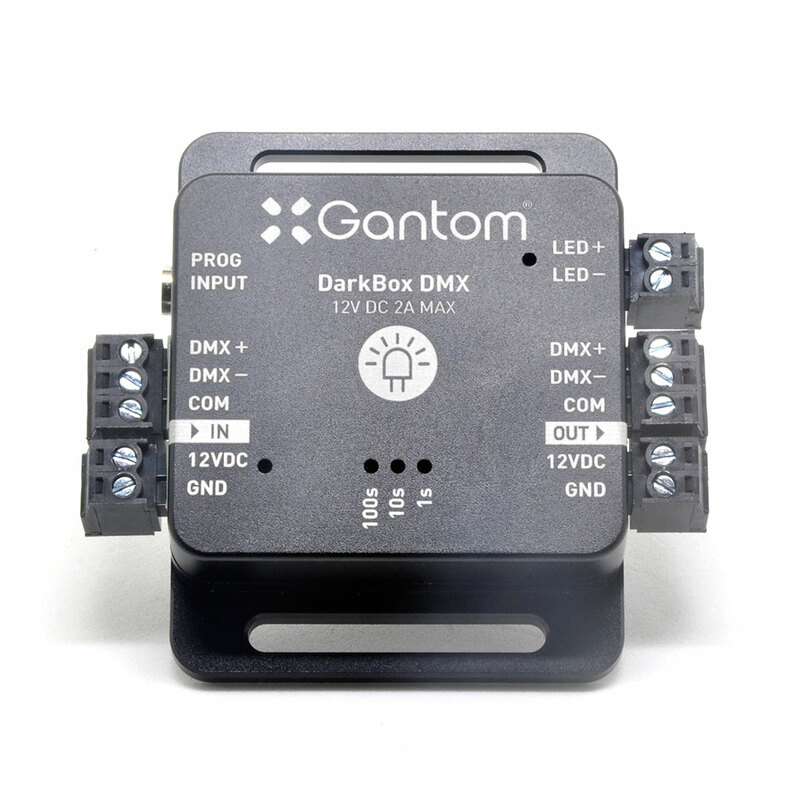 The DarkBox DMX also has a variety of built-in patterns (blink, strobe, candle flicker, power surge flicker, and pulse) for special effects lighting without the need to program complex DMX signals. 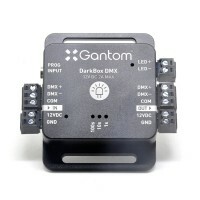 This device occupies 3 DMX channels, which controls brightness, speed, and mode, respectively. 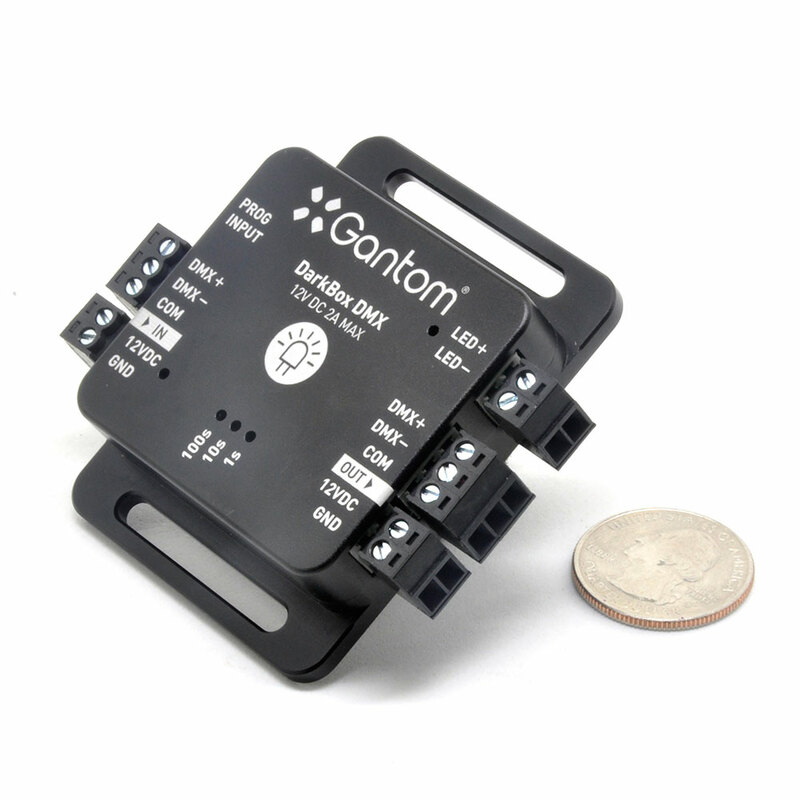 The V2 features a new machined aluminum body to protect the unit in harsh environments as well as an upgraded MOSFET that allows for higher current capacity and protects against output short circuits.